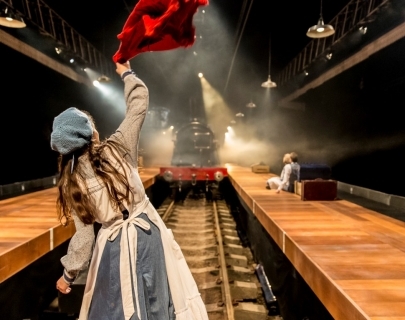 Relive the magic of The Railway Children with a full screening of the production as performed in York’s Signal Box Theatre. The Olivier award-winning show follows the story of Roberta (Bobbie), Phyllis and Peter, three sheltered siblings who suffer a huge upheaval when their father, who works for the Foreign Office, is taken away from their London home and falsely imprisoned. The children and their mother, now penniless, are forced to move from London to rural Yorkshire near a railway line. The story deals with themes of justice, the importance of family and the kindness of strangers. The filmed performance features the original locomotive from the much-loved 1970 film.